The Grand Lodge of North Dakota A.F. & A.M. Annual Communication was held in Medora on June 16th and 17th. East Gate Lodge No. 120 was represented by Brothers Martin Kloster PM (Secretary) and Travis Cuypers (Junior Deacon and proxy for Junior Warden). 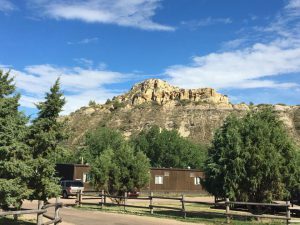 Brothers from the other Fargo lodges were also present, and we all enjoyed the beauty of the Badlands and the simple charm of Medora. A couple of highlights were the Masonic College presentation given by a staff member of the George Washington Masonic National Memorial and a speech given by a gentleman playing the part of our 26th president, Theodore Roosevelt. Most Worshipful Brother Mark Williamson was elected our new Grand Master. 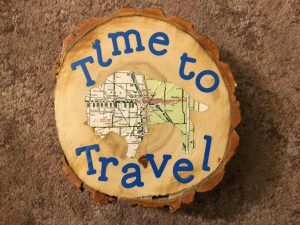 His theme for the year, “Time to Travel,” encourages all ND masons to make the effort to travel and visit other Lodges and Brothers as much as possible for new experiences and new friendships. Junior Grand Warden: RW Bob Wedberg JR.
We’ll done! It was great being there! Yes, I really enjoyed it. It’s a long drive, but worth it!